I can’t believe Christmas has come and gone, and we’re about to bring in another New Year. To me, it’s a sad reality that this holiday season is almost over. What is it about Christmas that brings such joy to children? And such appreciation to our elders? When I was a kid, the anticipation of Santa was almost overwhelming; but it wasn’t just the presents, even then I knew there was a magic that only existed at Christmastime. Unfortunately, over time, the magic seemed to disappear…What happened? Life got in the way. I grew up. 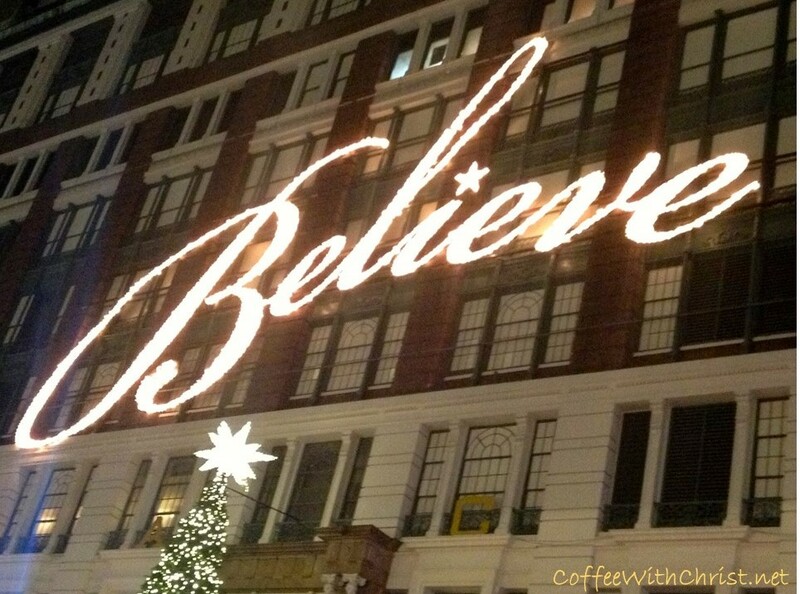 I stopped believing…and Christmas hadn’t been the same ever since? I don’t know about you, but as each year passed, Christmas became a stress-inducing, panic attack-waiting-to-happen time of year. What to buy? For whom to buy? How much to spend? What to cook/bake/fix? How to get all the visiting squeezed into a couple of days? When to get it all done? Let me tell you a secret…you don’t have to see to believe; you have to believe to see. (And I’m not talking about Santa). You see, there is something about Christmastime… It’s about love. The Love that God showed when He sent His Son to be born to us; and eventually die for us. It’s about the love that encompasses us all when we’re thinking about those that we shop and cook for, and the time we spend visiting others. Imagine what the world would truly be like if we carried that love all year through. Christmas symbolizes joy, hope, love, faith, peace… What if we allowed every day to be indicative of such? Growing up, the saying approaching Christmas was “If you stop believing, you stop receiving…” We naturally meant Santa. But you know what? It applies to Jesus. (Matthew 21:22) What if our problem throughout the year is that we don’t really believe that Jesus Is everything He Is? We doubt, we make excuses, we wander… God’s promises never fail (Hebrews 6:18). God never fails us; we fail Him. We easily celebrate Him at Christmastime; but what if we celebrated Him all year through? It’s not God that disappears when Christmas is over; it’s us; our faith, our trust, our love, our belief. Belief that He still remains; belief that He still promises; belief that He still loves. What is it about Christmastime? It’s that we allow ourselves to embrace the Christmas Spirit; His Spirit. We give, we share, we do; for this short holiday season, we do what we’re supposed to do all year through: we love as Christ loves. It’s Christmastime that we embody our namesake—Christ. It’s Christmastime that we share the love. It’s Christmastime that we believe.